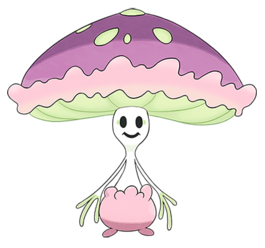 Today we come to the newest iteration of mushroom Pokémon: the tall, slim-stalked, luminous Morelull and Shiinotic. Morelull and Shiinotic have an uphill battle to make themselves unique and interesting, as the fourth set mushroom Pokémon after Paras and Parasect (interesting by reason of soulless parasitism), Shroomish and Breloom (interesting by reason of kick-boxing dinosaurs), and Foonguss and Amoonguss (interesting by reason of… um… stealing Voltorb’s schtick in a way that somehow makes even less sense). These latest versions… well, I mean, they give it a go. To their credit, Game Freak are aware that they’ve put Morelull and Shiinotic in a difficult position, forced to live up to the legacy of multiple generations of other mushroom Pokémon, and have tried to turn the overlap between their designs into an in-universe rivalry. Sun and Moon set up the new Pokémon as counterparts to Paras and Parasect in a day-night pairing, with Morelull being found in the wild only at night and Paras only during the day (a similar pairing exists between Araquanid and Ariados), and references in the Pokédex to territorial disputes between the two species that can leave great swathes of forest covered in spores. We’re also told, interestingly, that Paras and Parasect are somehow weaker in the Alolan environment (the Pokédex doesn’t know why, exactly, but suggests both a lack of water and a lack of nutrients); their mushrooms grow poorly and their spores are less potent. Perhaps we’re supposed to infer that Paras would outcompete Morelull in any other part of the world, but there’s something about the Alolan climate that they are poorly adapted to, making it impossible for them to completely overtake the native mushroom Pokémon. On the other hand, Paras and Parasect’s stunted development in Alola could be Morelull’s doing. We learn from the Sun and Moon website that Morelull, like Oddish, are known for behaving like normal stationary plants during the day and uprooting themselves at night to wander around on their root-feet, but unlike Oddish, Morelull are given a specific motive for this behaviour: if they stay in one place for too long, they drain the soil of nutrients and cause plants around them to wither and die (the Pokédex says that they attach to tree roots and drain them directly – it could be they do both, deriving different nutrients from each). Since we know that Paras compete for territory with Morelull, it could be that Morelull systematically exhaust the plants whose roots are fed on by Paras and Parasect, keeping them from becoming successful. That would also neatly explain why the two are rivals, even though they have different feeding behaviours and are active at different times of the day. Mushrooms exhibiting foxfire, the eerie greenish light that gives Morelull and Shiinotic their powers. Morelull and Shiinotic’s most striking feature is the eerie, hypnotic glow of their spores. 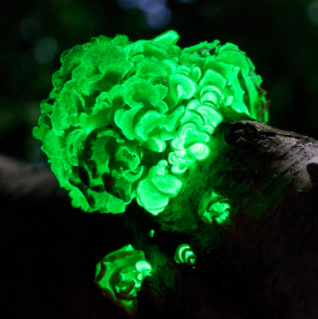 Glowing mushrooms are a staple of dungeon-delving fantasy, but there are several species in the real world as well, all of which emit light through the action of a family of specialised enzymes called luciferases (a reference not to the Devil, but to the original meaning of his Latin name – “lightbringer”). In European folklore the blue-green glow of these fungi is known as foxfire (probably from the French faux, false, rather than any reference to actual foxes) or fairy fire, and is part of the association between mushrooms and the fairy creatures of the world of magic. Like fae beings, Shiinotic is known for leading mortals astray, and Alolan folklore holds that following her glowing lights at night, like the lights of the ethereal will’o’wisp, will lead you to become lost in the forest, never to return. Similarly, so-called fairy rings – circular formations of mushrooms, especially the Scotch bonnet Marasmius oreades – are held to be traps set by fae creatures to curse or imprison unwary mortals who step inside their boundaries. This is what provides the justification for Shiinotic’s Fairy-type powers, and I have to say, it’s refreshing to have more Fairy Pokémon whose nature is informed by the sinister side of fairy lore. The other aspect of what makes Morelull and Shiinotic dangerous is simply what they are, because mushrooms and other fungi, unlike plants, cannot photosynthesise to acquire energy from the light of the sun, and therefore have to extract nutrients from dead and decaying things. We’ve already seen that Morelull drain and exhaust the plants and soil around them, a little like real mushrooms, but Shiinotic takes it a step further and can supernaturally drain life force with her very touch – or, if necessary, transfer excess life force to another living Shiinotic. It’s not clear how this is supposed to be different from the variety of draining abilities possessed by other Grass Pokémon – few of them make it an important point of their design, but most Grass-types can learn Leech Seed, Giga Drain or both. It could have something to do with Game Freak’s desire to make the Fairy type the one that’s most closely associated with the Pokémon world’s concept of life force – whether for benign or sinister ends. Of course, in spite of all this, tourists in Alola love to visit the enchantingly luminous forests where Morelull and Shiinotic live at night, because tourists are entitled morons. Finally, I would like to share with you some of the bizarre trivia I inevitably stumble across in my day-to-day duties as an ostensibly sane Pokémon blogger. During the course of what I generously like to call “research” for writing these things, I have adopted the practice of just periodically Googling “Hawai’i + x” (x being mongoose, or stag beetle, or woodpecker, or whatever the Pokémon I’m writing about seems to be based on), just in case something interesting pops up within the first page or so. Aside from learning that there is apparently a thriving trade in psychedelic mushrooms on the Hawaiian islands (and, well – pretty glowing lights, altered states of mind, memory loss… Shiinotic knows something we don’t; that’s all I’m saying), the most striking thing I found on the first page of Google hits was a surprising number of articles about a rare Hawaiian mushroom whose scent is rumoured to cause spontaneous female orgasms. Because, y’know, of course. Before you get too excited and dash off to Hawai’i to start collecting these things, I’m going to let you down and spoil the story by saying that the whole idea is almost certainly pseudoscientific dreck, but this account of one woman’s quest to discover the truth about the elusive mushroom is a well-written and genuinely fascinating read, as well as a reassuring reminder that my own predilection for random obscure biological trivia is downright normal compared to the lengths some responsible adult humans will go to in search of weird mushroom facts. If you feel like putting Shiinotic on your team, what you’ll be getting is fundamentally a sort of support-oriented tank with a nasty primary attack, potent self-healing capabilities, and strong disruptive techniques, but very poor speed and little flexibility. Grass/Fairy leaves Shiinotic with a lot of weaknesses (including a double weakness to Poison) and a lot of resistances, with some important types in both categories, as well as immunity to Dragon attacks. It also gets her access to Moonblast, which is one of the best moves in the game to have as your only attack, since nothing is immune to it and relatively little resists it. You can also take a Grass attack for diversity, probably Giga Drain for the incidental healing, but there really aren’t that many Pokémon who take a lot more damage from Giga Drain than Moonblast (since almost everything that resists Fairy also resists Grass). And that’s… well, that’s about it for Shiinotic’s offensive movepool. Sludge Bomb is there if you really hate other Grass-types or Fairy-types. Signal Beam is too weak to bother with most of the time, but will be your best option against a small selection of dual-type Steel Pokémon. The meat of Shiinotic’s movepool is in her support options, and to begin with, we have to talk about her signature move, since it’s one of her stronger selling points. 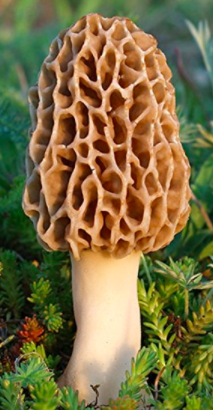 Morels, the type of mushroom that Morelull’s English name comes from, are best known for their unusual spongy form; her names in other languages are more generic references to mushrooms and fungi, explaining why she doesn’t have the distinctive texture. Shiinotic’s signature move is Strength Sap. Strength Sap is a draining move, but unlike, say, Giga Drain, it doesn’t drain HP – it drains attack, healing the user for an amount equal to the target’s attack stat, while reducing the target’s attack stat. The disadvantage to Strength Sap, of course, is that it does no damage. Its healing will also become less effective every time you use it, because the target’s attack has already been lowered (although, if they’re doing less damage to you as a result, you may not care). The advantage is that, at least on the first use of the move, you’re likely to heal for substantially more than you would from Giga Drain – probably more than half of your own health – and the healing will not be affected by resistance to Grass attacks. Unless an attack can outright one-shot Shiinotic, the healing she gets from Strength Sap will scale with the power of anything attacking her physically, allowing her to mitigate an awful lot of damage while simultaneously weakening the aggressor, potentially forcing them to either change tack or switch out. If you try to string it out too long, you’ll run into problems because Strength Sap will stop healing you once the target’s attack bottoms out at -6 levels, and you’ll eventually suffer a critical hit (which will ignore the attack reductions). However, it should at least give you plenty of time to cause havoc with your other moves, like Spore. Spore itself is as fantastic as ever – as with the other mushroom Pokémon, a 100% accurate sleep-inducing move is so powerful that there’s really no good reason to use Shiinotic without it. In fact, having Spore is almost, but not quite, a good reason to use Dream Eater. Aside from Strength Sap and Spore, Shiinotic has the usual gamut of support moves we expect from a Grass-type. Leech Seed is good for gradual healing and will encourage your opponents to switch out. Paralysis isn’t essential on Shiinotic, because Spore is usually better, but if you want it, she actually gets Thunder Wave, which is more accurate than the Stun Spore available to most Grass-types. Shiinotic can learn other healing moves, most easily Moonlight, but unlike most support Pokémon she sort of doesn’t need them; most of the time, Strength Sap will be quite enough. Ingrain is adorable and just bad. If you want Shiinotic to do something to support the team, Light Screen is on her list, and complements Strength Sap by slowing down special attackers. Finally, we should probably talk about Spotlight, since only four other Pokémon (Lanturn, Clefable, Spinda and Starmie) get it. It works a little like Follow Me, but instead of forcing opponents to target the user, Spotlight draws attacks towards a partner. This is inherently less useful, because Follow Me sacrifices your turn to buy time for your (presumably more frail) partner, while Spotlight sacrifices your turn to buy time for… yourself? It’s potentially useful with a partner who does something when attacked, like Aegislash with King’s Shield, but that’s about it. You can also use Spotlight to focus fire on an opponent, but it can’t redirect enemy attacks towards their own allies, only your own attacks… which you already choose targets for anyway. I’m pretty sure you can’t even use Spotlight to override Follow Me, because it has a higher speed priority. So… what’s the move even for? Answer: Battle Royals. In a free-for-all against three opponents, using Spotlight will force two of them to attack the third. This isn’t game-winning, because the Battle Royal is scored according to how many Pokémon you, personally, knock out, but you can still manipulate your opponents in pretty powerful ways. 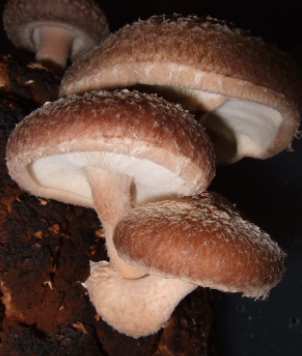 Shiitake are fairly generic looking mushrooms and best known for being delicious, but again, Shiinotic’s name references shiitake specifically only in English, so, uh… probably don’t eat her. You might have noticed that Shiinotic’s ability choices haven’t come up yet, and that’s because they’re fairly grim. Illuminate increases the frequency of random encounters, but has no-in battle effect, so we can write that off immediately. Her hidden ability, Rain Dish, provides a little bit of extra healing every turn during rain. I’m not sure why you would use Shiinotic on a rain team, when there are so many Water-type tanks who stand to gain so much more from weather control, but you could. That leaves Effect Spore, which is one of those rubbishy little abilities that occasionally does something nice for you but is too unreliable to use meaningfully. Every time Shiinotic is hit by an attack that makes direct bodily contact, there is a 30% chance that her attacker will be struck by paralysis, poison, or sleep – chosen at random. Not all Pokémon will care about all three of those conditions, and they may actually interfere with Spore, one of Shiinotic’s strongest features, but that’s what we’ve got. What I like best about Shiinotic from a mechanics perspective is probably that Strength Sap gives her a very unique style of fighting, revolving around her ability to slowly neutralise physical attackers while providing herself with ludicrous amounts of healing. She’s severely held back, unfortunately, by painfully low speed, merely average defensive stats, and a small movepool even for a Grass-type, and sort of ends up comparing unfavourably to similar Grass-type support tanks… which makes it kind of a shame that Ultra Sun and Ultra Moon allow you to breed Strength Sap onto Jumpluff and Vileplume, who would arguably make better use of it… like, come on, Game Freak, at least give her one full generation of being special. Aesthetically there is arguably a bit of “just a mushroom” about her, but her eerie, kind of alien appearance feels to me like it knows what it’s trying to be much better than Amoonguss does, I like that she works with the folkloric associations and unusual properties of real mushrooms, and Morelull hits a nice sweet spot between cute and utterly bizarre. It’s kind of a wash for me, but there is a lot to like here (even aside from my heavy pro-Grass-type bias).